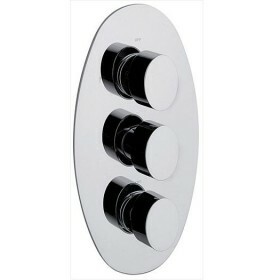 Beautiful playful curves, presented in an interesting oval shape. 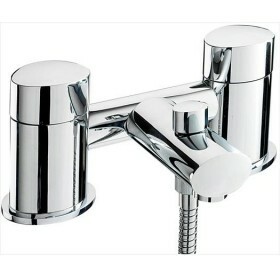 These bathroom taps and mixers offer contemporary styling and superb quality. From the strong pillar oval shaped bodies through to the slim line lever handles the Oval bathroom taps and mixers possess smooth graceful lines that are a perfect complement to the most contemporary of bathrooms, en suites and shower rooms. 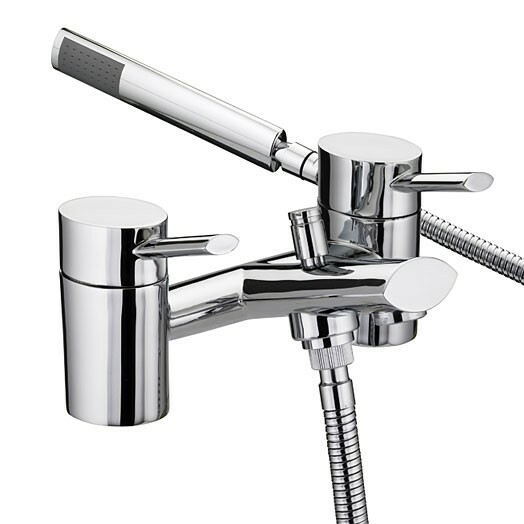 The Oval range is only available in chrome plated finish as shown and has ceramic disc valves and cartridges within for an easy to use quarter turn control. 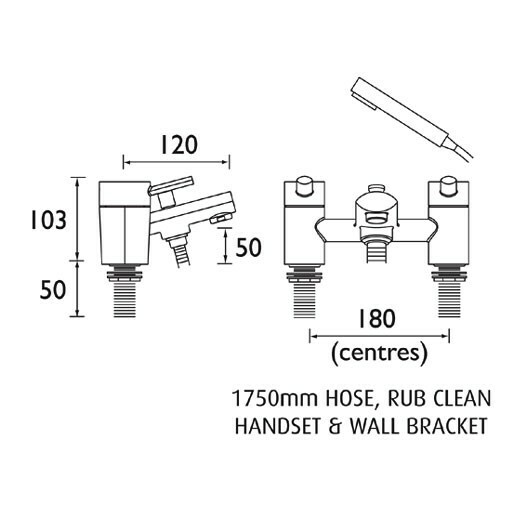 This bath shower mixer is supplied complete with a 1.75m shower hose, a single function rub clean shower handset and a wall bracket. 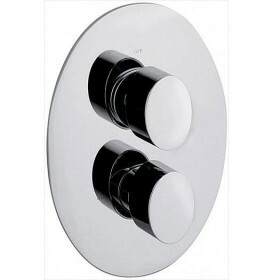 The Oval deck mounted bath shower mixer is for baths with two tap holes. Very quick service and delivery. Kept informed and felt valued.